If you’re in Western Australia, and your driveshaft is in need of attention, contact the Perth Drive Shaft repairs specialists. Located in Kewdale just 20 minutes outside of downtown Perth, Driveshafts Perth specialises in the big jobs. Our services range from Perth drive shaft repair, to servicing, balancing, lengthening, shortening or full rebuilds and custom drive shafts. But what is driveshaft balancing? Driveshaft balancing is a service that allows a the part to be re-balanced Issues can arise if it is unbalanced by even one quarter of a thousandth. Driveshafts Perth uses specialised, highly accurate driveshaft balancing services equipment to repair these damaged parts. If you want to learn more about this service, see our article on the range driveshaft balancing services. A driveshaft can be become unbalanced through general wear and tear of the driveline. However, left unchecked, it can cause a wide range of very serious (and potentially expensive) issues for the entire driveline. These imbalances have an easy fix: driveshaft balancing services. Our Perth drive shaft repairs specialists deal with mining, industrial, truck, 2wd, performance and marine driveshafts. We also accept parts shipped to us that are in need of repair, and can send the back to you if you cannot make it into our Perth drive shaft repairs shop. 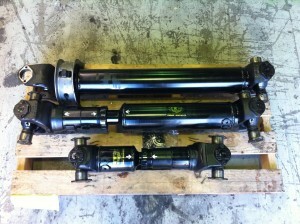 Driveshaftsperth.com.au is brought to you by Driveshafts Perth (learn more about Driveshafts Perth). 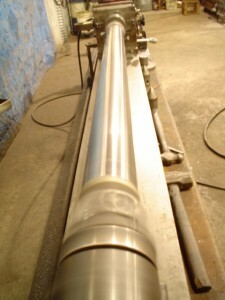 We provide solutions to all your driveshaft needs. We provide equipment for Mining, trucks, marine, 4wd and much more. Driveshafts Perth - Contact Us today to discuss your needs.